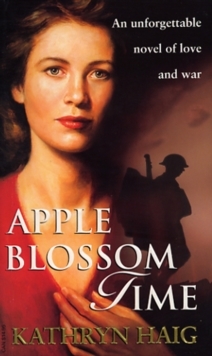 At the outbreak of world war II Laura, who was brought up in the manor house of Anstey Parva, where her formidable grandmother, Lady Anstey, rules the roost, decides to join the ATS. She is sent to Egypt where she meets and marries James, a young subaltern who is shortly afterwards killed in the desert.But Laura's heart belongs elsewhere , although she does not yet realise it; and her mind becomes increasingly occupied with the mystery of what happened to her father, who died, she has always been told, during the Great War. Why, then does his name not appear with the others on the village war memorial? Why do no photographs of him exist? Why is his name never mentioned? Laura tries to trace his final resting place through the war graves commission, but they have no record of him. She discovers, in the attics of Anstey House, his dress uniform beautifully preserved in tissue paper, together with some letters which indicate that he was court-martialled and killed by a firing squad. But why? What was his offence? Laura has to find out, and in doing so uncovers an extraordinary story which results in an immensely moving reunion.